My 3 reasons for Membership in Florida Superior Small Lodging Pride - Membership gives me and all my staff that wonderful feeling of pride that comes from the recognition of a job well done. 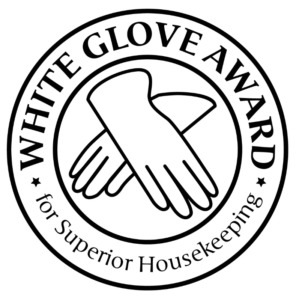 When inspection time rolls around every year the anticipation builds and when we get the notice that we have been awarded that coveted White Glove its applause and hugs time! That’s pride. Exclusivity - Only a small percentage of qualified independents are members of SSL of Florida and that makes it exclusive and exclusivity has its benefits. The general public seek out SSL properties because to membership in SSL satisfies their fear of independents vs flag properties. So since our list is short and you are on it, it makes it seem much more valuable. Respect - SSL of Florida properties are highly regarded and respected by al DMO’s and CVB around the State. They know the rigors and standards required for membership and they are much more likely to look favorably on member properties vs non-member properties. We have experienced that when Counties or Cities decide to offer matching grant monies to be used for updating older properties, they use membership in SSL of Florida as a criteria for consideration. Respect. The Plaza Beach Hotel, a 40 room boutique property, has been with Superior Small Lodging since it's inception in Pinellas county in 1998. We joined to meet like-minded independent properties, to get accredited so that people knew that we are a clean and safe property, marketing discounts, and to understand what the newest trends where. We have been very pleased with Superior Small Lodgings; so much, that when we expanded with new hotel purchases over the years, and also wanted to certify them as Superior Small Lodging Proprieties. Bayview Plaza Waterfront Resort with 11 rooms certified in 2002 and Bay Palms Waterfront Resort with 15 rooms certified in 2008. People today want reassurance that they will have a great property experience, the Superior Small Lodging seal of Approval gives them that. It's a family of properties that work together, like the big-chains hotels, but designed for independent properties of only 75 rooms or less. Try it, you'll benefit from it.